I have soooo many cookbooks from Southern Living and I don't think I've ever used this one. This is, of course, one of the early Gooseberry Patch books. It's like new! 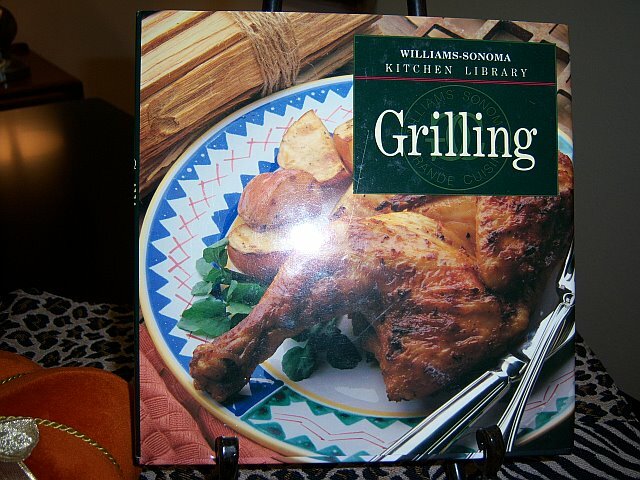 I grabbed several Williams-Sonoma cookbooks when I worked there after retirement. I don't grill outside anymore due to where I live. Perhaps one of you might like it? I don't believe in all of the criteria some giveaways require ~ I like to keep it simple! I'd like for you to be a follower and just leave a comment telling me your favorite dish to cook. Will announce the winners ~ 3 of you! ~ next Tuesday, 18th. What a great idea for a giveaway! I love cookbooks and enjoy reading them even if I don't cook a single recipe out of them. My favorite thing to cook this time of year is roasted chicken or game hens, I L-O-V-E the way it makes the house smell. Oh, I so love to bake cookies, that is my favorite thing to cook. All the cookbooks look so good. I just enjoy cookbooks so much and always welcome a new recipe of 2 to add to my list of baking for the holidays! Thx for doing the giveaway! 1ok.. would love the Southern Living Cookbook... thanks so much for the opportunity! my favorite food to cook,,, Smoked Salmon with a side of anything! My favorite thing to bake is chocolate chip cookies! I have baked more batches than I cna count! It is always a hit at any function and people of all ages seem to love them! I would LOVE the Goose Berry Patch one.....actually I would love ANY of the three!!! Thanks for the oppotunity to win!! Gosh, what a nice idea, sharing, and passing forward. Isn't that what blogging is all about. I am passionate cookbook lover. My favorite thing to cook is ANY thing that comes out of my kitchen. I love to cook, and love being in my kitchen. 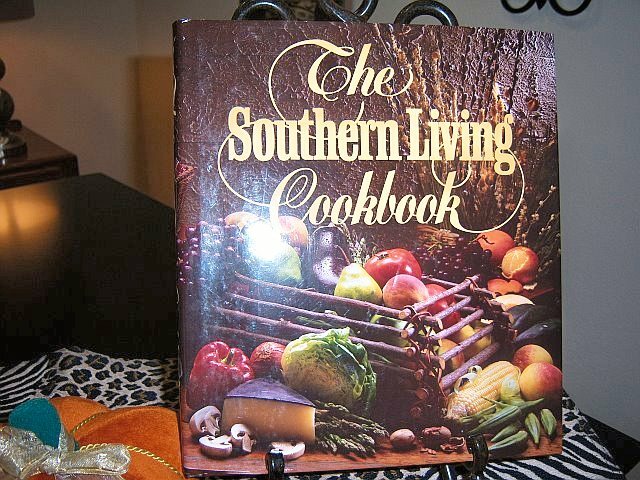 I would love the Southern Living cookbook. Your newest follower, and thanks for being mine. Pat, you are such a doll! What a great idea. I love cookbooks, I actually read them like a novel! My Mr. thinks I'm a little crazy sometimes. If I were to win, I would love the William Sonoma one, I don't own any of theirs! and would love to read one. Thanks for hosting this, fun, fun, fun! Recipe books are such wonderful giveaways. Thanks for being so generous. Wow, what a generous give-a-way. Oh, and I love the southern living cookbooks, the recipes, looks and all! My favorite dish to cook? It just all depends on the season, and my mood, lol. I just love to cook! Right now I am into my latest find, baked chicken roll ups. I found this recipe at Cozy Home Scenes the other day, tried it, and it is awesome! I have been looking for an excuse to make it again. We are having company Thursday night, so baked chicken roll ups it is. Stop by and see my post on it if you haven't already, it is delish! This is a great idea. My MIL had lots of old cookbooks, and I guess we will just sell them in the estate sale. Awesome giveaway and great idea. I love cook books and now my daughter loves them too so that makes me happy. I would love to win the Southern Living or the Gooseberry Patch book. What a nice give-away! I am a new follower & I love to cook seasonally. My all-time favorite meal to cook is chicken 'n dumplings. I would love any of the three cookbooks, but probably would love the SL one the most. What a great idea! Hmmm, I can't decide. I love to bake cakes and I'm always looking for new dinner ideas! Thanks for joining my blog! I consider that quite a compliment after reading all that you do. My goodness! Your recipes look fabulous. Bedford, huh... I have two aunts who live there. Nice area. Many of our Aggie friends are pilots and their wives flight attendants. When I listen to them talk about some of their experiences I truly admire their professions all the more! My cousin was among the first flight attendants, known as "stewardesses" at the time with Southwest Airlines... white boots and all. Love your cookbooks.. I will not confess how many I have. lol!! On top of that I inherited most of my mother's cookbooks. Love it. I'm a real lover of the Southern Living cookbooks!! Have a great day and I'll be back. I'm YOUR newest follower now. Hi Pat- I don't know how in the world I missede this before! Anyway, I am signing up now. 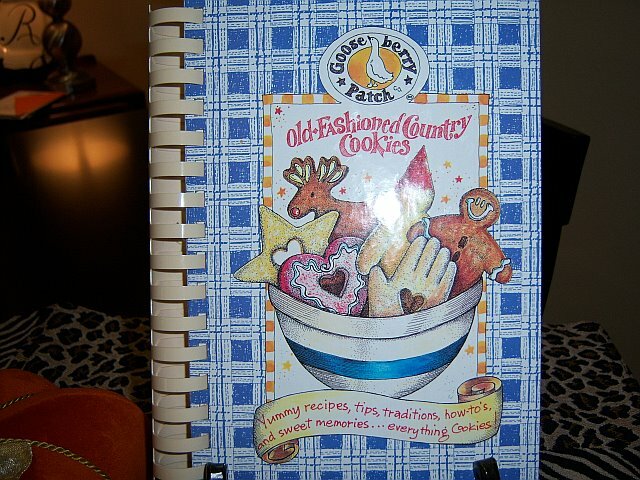 I would love the Southern Living cookbook OR the Gooseberry patch one. I love Southern Living recipes! Can't wait for my new issue of the magazine to arrive each month. Right now, my favorite meals to prepare are crock pot meals. Have a yummy chicken taco chili simmering in the crock pot at this moment. Anticipating the cooler weather we are expecting!!! What a great giveaway! My favorite things to make are soups and stes. Since we have cold weather 3 seasons out of the year...I can never go wrong!! The Southern Living cookbook could make for some wonderful recipes since I am in the Midwest!!! Please throw my name in the hat, Pat!! Pat, I love cookbooks of all kinds, they all look interesting to me! Wishing you the best with your medical tests! Would love to have any of the cookbooks! Hope you have a very blessed day Gypsy Girl!! !